What are the causes of colon cancer ? Diets high in fat are believed to predispose humans to colorectal cancer. In countries with high colorectal cancer rates, the fat intake by the population is much higher than in countries with low cancer rates. It is believed that the breakdown products of fat metabolism lead to the formation of cancer-causing chemicals (carcinogens). Diets high in vegetables and high-fiber foods such as whole-grain breads and cereals may rid the bowel of these carcinogens and help reduce the risk of cancer. 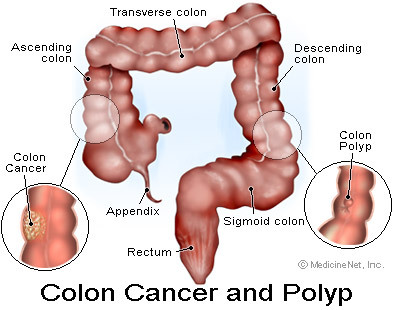 Doctors believe that most colon cancers develop in colon polyps. Therefore, removing benign colon polyps can prevent colorectal cancer. Colon polyps develop when chromosome damage occurs in cells of the inner lining of the colon. Chromosomes contain genetic information inherited from each parent. Normally, healthy chromosomes control the growth of cells in an orderly manner. When chromosomes are damaged, cell growth becomes uncontrolled, resulting in masses of extra tissue (polyps). Colon polyps are initially benign. Over years, benign colon polyps can acquire additional chromosome damage to become cancerous. Chronic ulcerative colitis causes inflammation of the inner lining of the colon. For further information, please read the Ulcerative Colitis article. 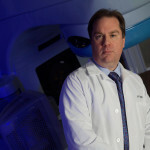 Colon cancer is a recognized complication of chronic ulcerative colitis. 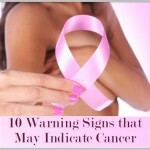 The risk for cancer begins to rise after eight to 10 years of colitis. The risk of developing colon cancer in a patient with ulcerative colitis also is related to the location and the extent of his or her disease. Current estimates of the cumulative incidence of colon cancer associated with ulcerative colitis are 2.5% at 10 years, 7.6% at 30 years, and 10.8% at 50 years. Patients at higher risk of cancer are those with a family history of colon cancer, a long duration of colitis, extensive colon involvement, and those with primary sclerosing cholangitis (PSC). Since the cancers associated with ulcerative colitis have a more favorable outcome when caught at an earlier stage, yearly examinations of the colon often are recommended after eight years of known extensive disease. During these examinations, samples of tissue (biopsies) can be taken to search for precancerous changes in the lining cells of the colon. When precancerous changes are found, removal of the colon may be necessary to prevent colon cancer. A person’s genetic background is an important factor in colon cancer risk. Among first-degree relatives of colon cancer patients, the lifetime risk of developing colon cancer is 18% (a threefold increase over the general population in the United States). Even though family history of colon cancer is an important risk factor, majority (80%) of colon cancers occur sporadically in patients with no family history of colon cancer. Approximately 20% of cancers are associated with a family history of colon cancer. And 5 % of colon cancers are due to hereditary colon cancer syndromes. Hereditary colon caner syndromes are disorders where affected family members have inherited cancer-causing genetic defects from one or both of the parents.